It’s been hot! I mean really hot outside. I’m not a fan of cooking big meals in the summer anyway, but when temperatures reach one hundred degrees, I’m not turning on the oven. Combine all ingredients; toss together until blended. Serve on lettuce. Garnish with parsley. Makes 4 – 6 servings. 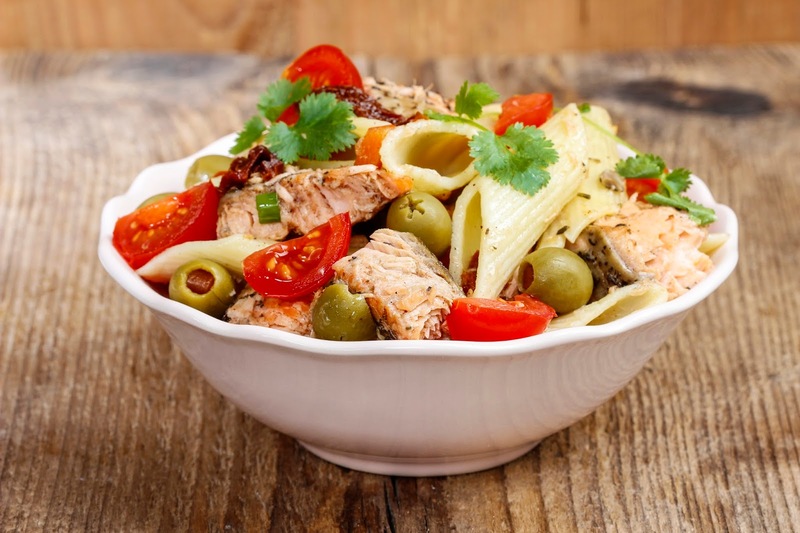 NOTE: Grilled salmon, or any cooked meat or poultry you have on hand, may be substituted for the canned salmon. USA Today bestselling author Raine English writes sweet small-town contemporary romance, along with steamier paranormal and Gothic romantic suspense. She’s a Daphne du Maurier Award winner and a Golden Heart finalist. 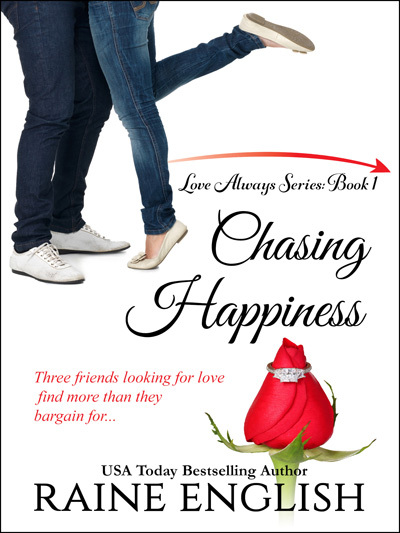 CHASING HAPPINESS, book one in the new sweet series, Love Always, is available now. It features three childhood friends who encounter a lot more than anticipated while searching for love. To receive information on all her new releases, you can sign up for her newsletter, like her on Facebook, and follow her on Twitter. It has been boiling hot! Thanks for a cool alternative! It looks so yummy, Raine. Thanks for sharing this recipe! This looks good, Raine, and best of all, it can probably be made in about five minutes!